This week I will be journeying with my friend Claire B.
I will be writing on how light meets my daily life using her art. 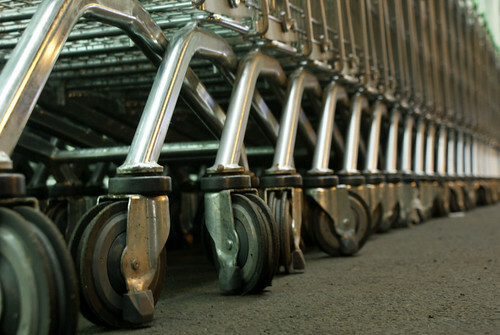 Shopping carts lined up to be used, dirty wheels, and shiny metal, all look the same, all there. A mom comes and grabs one, her hands are holding the shopping list, again. Again, the toilet paper, and the cleaner, the shampoo, and the toothpaste, yes, again. The wheel is not working, she needs to push harder. Never ending, always in a circle "
The thoughts of the day, the prayers unsaid, the lump on her throat, again. that you may stop today to see His light. God meets me in my daily life. His light shines on me as I go into my chores, as I push the cart. Let your light, O God, shine on me! Let me learn again, that it is for You that I come and go. Forgive me again, for living a life without joy. Remind me, that it is in my daily journey, that I walk towards heaven. My first post in this blog, was just about this, Rejoicing in Our Daily Tasks.